Christmas vacation allows us an opportunity to catch up on some long overdue reading - the books and articles that we have been “planning” to read for quite a time but have delayed until the holidays when we assume there are twice as many hours in the day.My own plan was to read a couple of books about entrepreneurship and creating successful and scalable Startups that were recommended by different ‘thought leaders’. I have been working with High Potential Startups for almost 15 years now and I am consistently challenged by how much I still need to read and learn. Things keep changing and new “must reads” seem to appear on a daily basis. Despite realising I needed to catch up with the “must reads”, I was thrown a curve-ball when my son gave me Bruce Springsteen’s autobiography as a gift. It became a case of the “best laid plans of mice and men” – I have been a fan of “The Boss” since the early 1980s and his “book” jumped straight to the top of my pile. I was a little guilty when I started into “Born to Run” – feeling it was more about entertainment than work. I soon realised that this was one of the best “case studies” on how to create a world beating enterprise from one man’s vision. By the end, I considered it one of the best entrepreneurship books I had read in quite a long time. “Born to Run” in my opinion is one of the most complete primers on how one man’s vision evolved into one of the most successful “bands/organisations” that continues to innovate and re-invent itself over the last 50+ years. It is also a very entertaining book in Bruce’s punchy, “hyphenated” style. From the Startup perspective, there are a lot of messages and lessons that a typical mentor or accelerator would try to instil from as early as possible. There are some quality Startup & Growth nuggets or Principles of Entrepreneurship that I came away with and I am sure I will discuss with existing and new Zoosh Ventures in 2017! Vision – Bruce had this from the very start, influenced initially by Elvis and then re-enforced by The Beatles. As a teenager, he visualised himself being called up on the stage at New Jersey venue by Keith Richards to replace Mick Jagger who had to “cry off” at the last minute. The vision to create the best Rock & Roll band & sound he possibly could, drove him to make some very difficult decisions and alter his pathway many times along his journey. Market Research – Bruce was a master of both Primary and Secondary Research. From an early age listening to the Radio with his mum, through playing different sounds on the local jukebox and then focusing more on the Secondary - travelling to many and varied a music venue to listen to all different types of music and musicians. Based on his research, he developed the type of sound he wanted and the musicians he required to create this. Product-Market fit. Competition – a lot of Startups I have come across try to ignore the competition or understate it. It is perceived as a “negative” to potential investors to highlight competitors. A detailed and well researched competitor analysis is a rare thing in Startup-land. Bruce’s approach to competitors was to use them to help make him and his band better. Whilst with an early incarnation of the E-Street band (Steel Mill) in California, they were rejected in certain clubs for other bands. Instead of complaining about an unfair process like some band members – Bruce accepted that the other band was better and that improvement/change was required. Observing and analysing competitors was also great help in configuring the successful format of the E-Street band i.e. sourcing talent such as Steve Van Zandt, Nils Lofgren and Clarence. Reengineering the MVP – Bruce was having significant success with one of his early bands – Steel Mill. Between Jersey and Richmond they had a dedicated fan base, bringing in 3000+ to concerts. However whilst he prove the MVP – Steel Mill – he realised it was not going to deliver his Vision. He went about firing members of the band and “starting from scratch”. A very brave decision and one driven by his desire to “scale”. Mentors / Trusted Advisors: During the recording of the “Born to Run” album, Bruce met Jon Landau who was a music critic from Boston. It was Landau who wrote in The Real Paper in 1974: “I saw Rock & Roll future and its name is Bruce Springsteen”. Landau’s relationship with Bruce developed over the decades from mentor, advisor, collaborator, confidante, manager and friend. Bruce looked beyond himself & the E-Street team for advice and mentorship and the partnership with Jon Landau was a major influence in “scaling” Bruce and his band. Self-Awareness – another important attribute for a Startup entrepreneur. Confidence in the proposition and drive to execute are essential, but also being aware of one’s limitations is a critical component. Something I hadn’t realised until reading “Born to Run” was that despite Bruce’s self-declared “ego”, he tried recruiting a number of “better singers” to replace him in his band. Bruce felt they needed a better singer. They tried a number of singers, but the experiment proved unsuccessful. 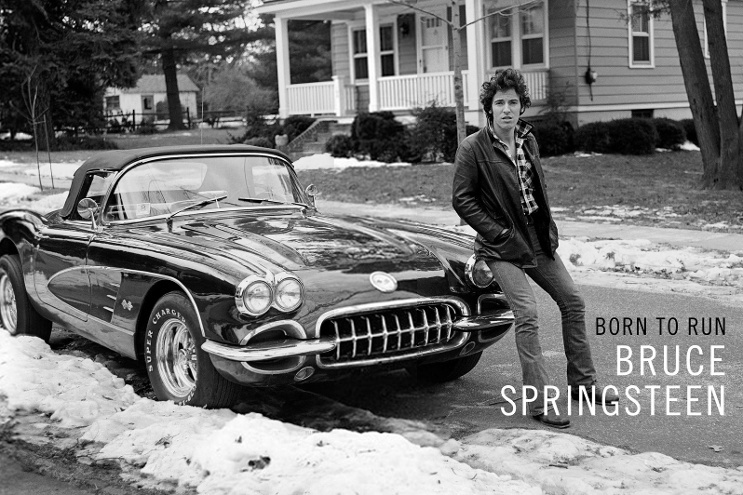 Bruce adapted – realising that some of his influences like Bob Dylan and Joe Strummer were not considered the best singers – decide to add the showmanship and storytelling to his offering i.e. creating a new formula beyond just “singing”. Leadership & Decision Making – from the very early days of the E-Street band, Bruce declared it was his band and he was the leader. Creative inputs from band members were encouraged and respected – but Bruce was “the Boss”. In my slightly biased opinion “Born to Run” is one of those “must reads” for would-be entrepreneurs. It demonstrates how a man driven by a his clearly defined Vision went about creating, adapting, growing, scaling a hugely successful enterprise.